a fixed immobilization of three months for reasons of health. Concerts will start again after this period". 08/15/2017 : solo Concert, Madonna del Sasso church, Lago d'Orta (Italy). International Guitar Festival "Un paese a Sei Corde". Nine original compositions, in which , four in duo and one in trio. A new sound and an original musical meeting with two musicians,virtuosos and well known on the french scene. To be released by the end of September 2016." 06/25 and 26/2011- ADGPA Convention, Pieve di Soligo, Italy : concert and workshop Voili. Ralf Gauck (Allemagne) and Gionni Di Clemente (Italie). Du 4 au 20 Mai. Hongrie, Republique Tchèque et Transylvanie. Plus de détails bientôt. 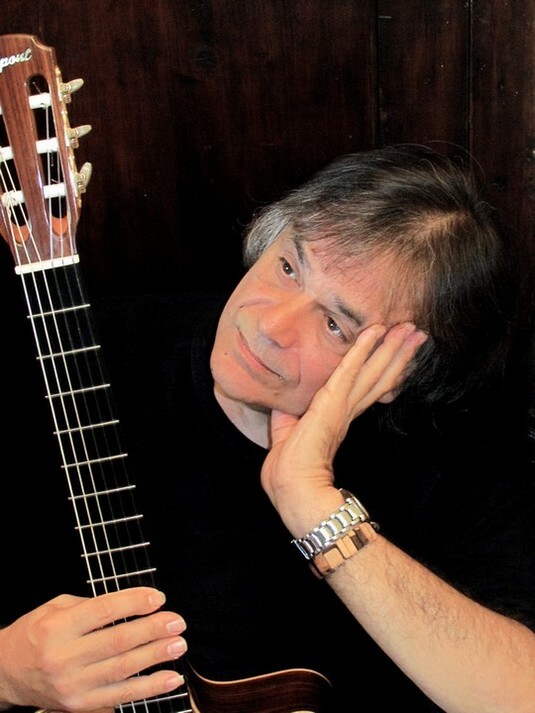 "After 4 years as director of the international guitar festival of "les Automnales de Ballainvilliers" where he has invited guitarists from the whole world (Alex De Grassi, Martin Taylor, Christian Escoudé, Peter Finger and many more), Bob is gone for other projects. His album "Grace", produced by Peter Finger for the label Acoustic Music Records, is released in December 2010. A real jewel,for the treasures of its musical timbres and easiness of play".